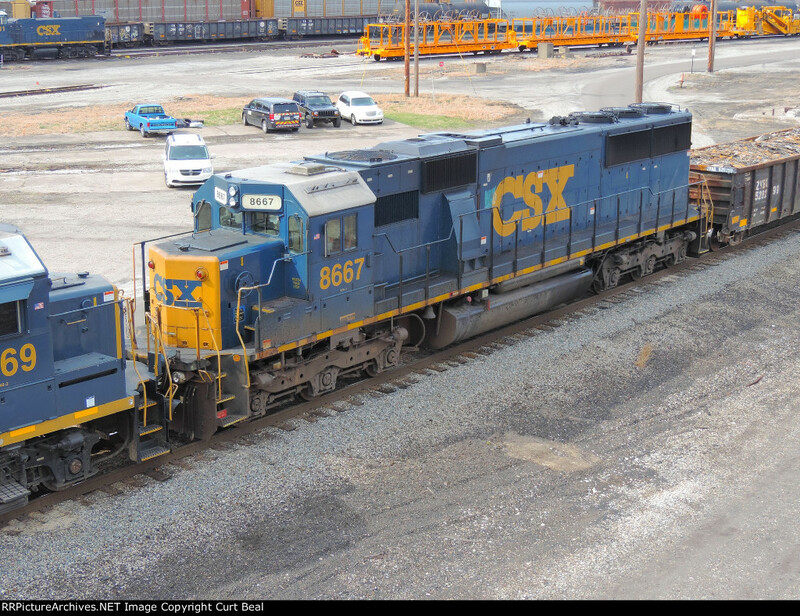 One of a variety of engines on Q352-26, stopped on Track 105 in the middle of the Connellsville Yard. Built as CR 6757 in June 1984. Worth noting are the unique cable-laying maintenaance cars in the background.